This spring, Alexander Olch lends his expertise in tie making to produce a special capsule collection for A Continuous Lean&apos;s ACL & Co. 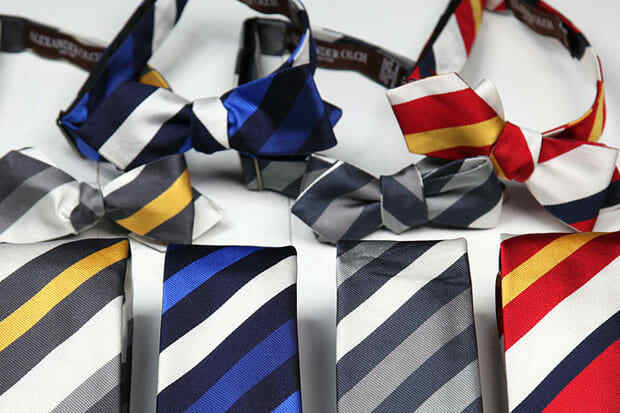 The collections consists of 8 silk ties all featuring a repp stripe pattern inspired by an early 1960s shop catalog. The patterns were made exclusively for ACL & Co. by a mill in England. The delicate silk ties were then constructed by hand in Alexander Olch’s Brooklyn factory. Visit the ACL & Co. website to purchase.